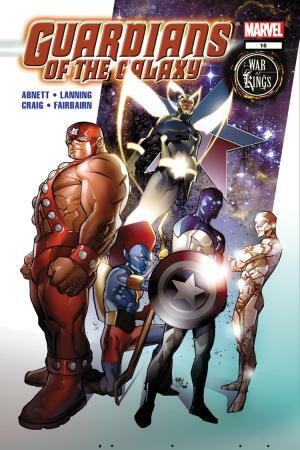 Get to know the Guardians of the Galaxy, Marvel's rag tag group of spacefaring rebels! You’ve seen them in theaters – now read up on Star-Lord, Gamora, Drax, Rocket, Groot and more with our "greatest hits" compilation! 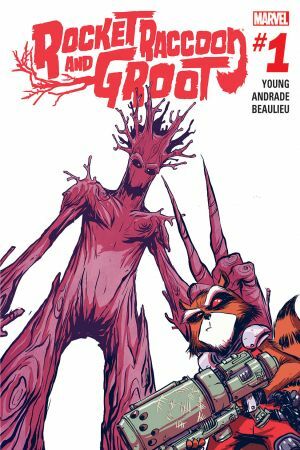 The latest addition to the team, read her first team-up with Star-Lord in this precursor to the revamped Guardians of the Galaxy team! The Most Dangerous Woman in the Galaxy. Gamora is the daughter of Thanos and none too pleased about it. Well versed in many forms of combat, she stands as one of the most powerful members of the team. 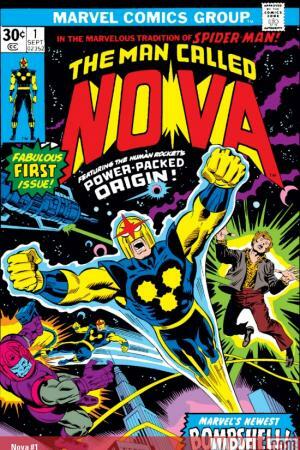 The Nova Corps is an intergalactic peacekeeping force known throughout the galaxy. 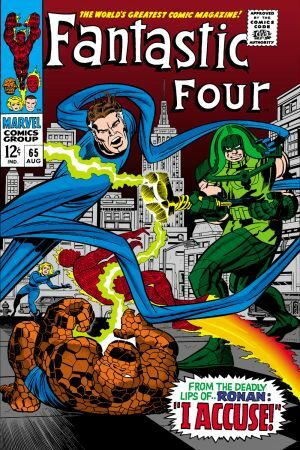 One of their most respected and accomplished officers, Richard Rider, was one of Earth's greatest champions before he perished fighting Thanos. 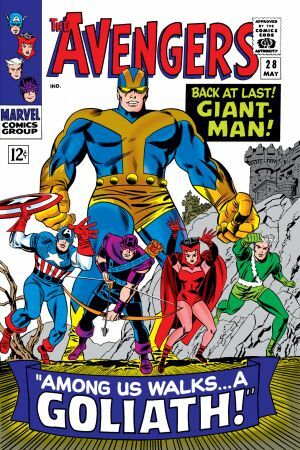 When his family was killed by the Mad Titan Thanos, the Destroyer was born! 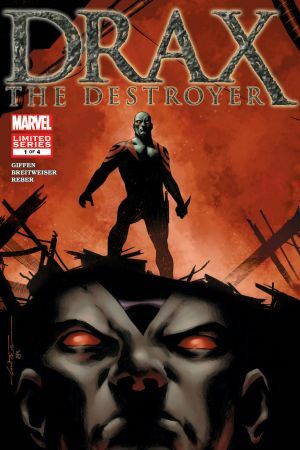 A man of very few words, Drax is the kind of unstoppable fighting machine you'd want on your team if you were to say...battle a fleet of vicious alien conquerors hell-bent on destroying the entire galaxy. Bros 4 Life! What would be weirder than having a talking Raccoon for a best friend? How about being a sentient alien tree soldier? 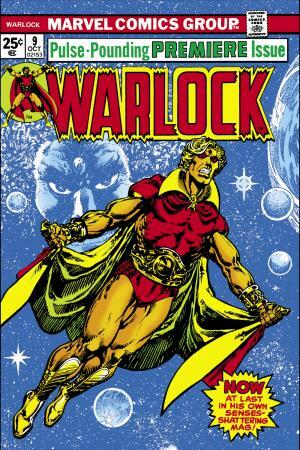 The Supreme Accuser of the Kree Empire. Ronan doles out justice and punishment in equal measure across the known galaxy in the name of the Kree Empire. Blue space pirate. She has been known to get destructive on occasion and has a long history with Thanos. A hunter-mystic from Centauri IV. Can whistle to his arrows after he fires them to change their trajectory. 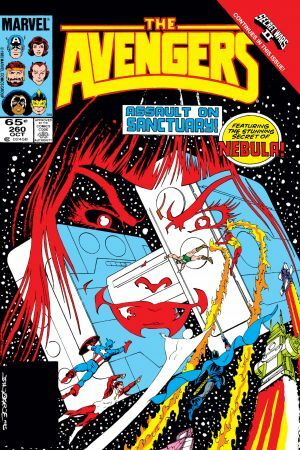 Peter Quill blasts off in his own series! 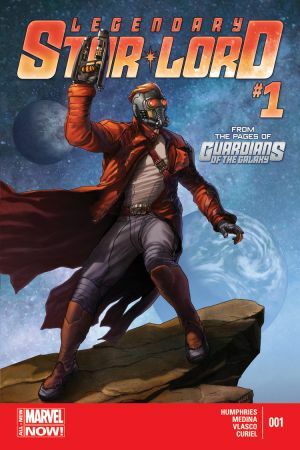 Watch Star-Lord battle the Badoon, be a scoundrel and still find time for some flirting with Kitty Pryde -- all in a day's work! 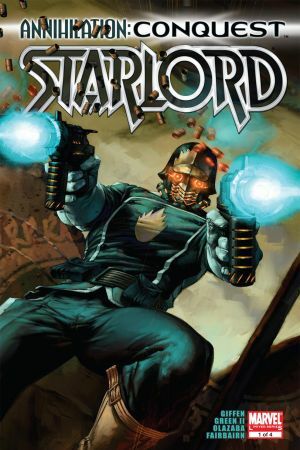 Star-Lord has abandoned the Guardians to be Emperor of the Spartax. 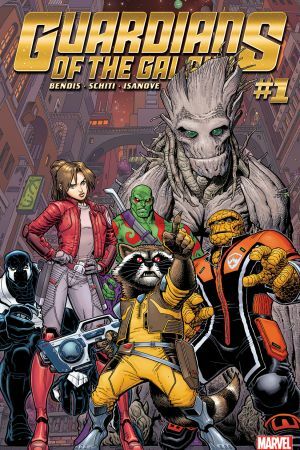 Rocket didn't wait a single minute to take the reins and become team leader of Drax, Venom, Groot, Kitty Pryde, and new Guardian Ben Grimm, the everlovin’ Thing!